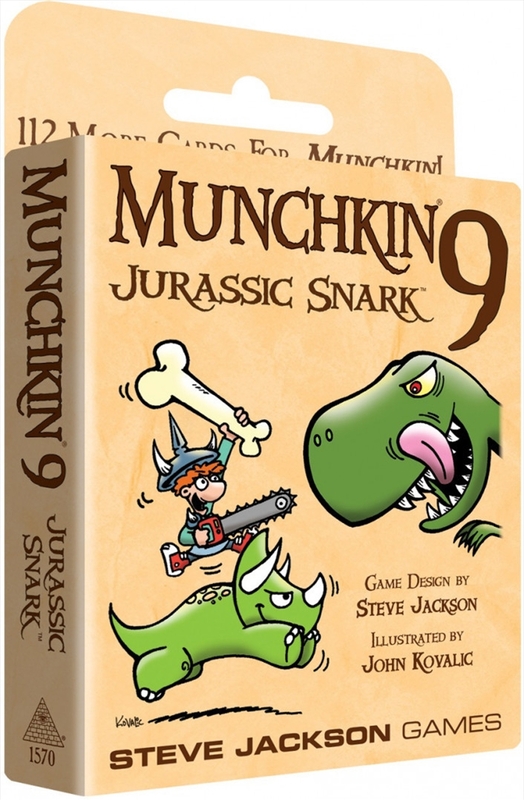 This new expansion for Munchkin takes all the roleplaying and backstabby action you know and love to the Jurassic Era! With Munchkin 9 ? Jurassic Snark, you?ll ride dinosaur Steeds, don primeval armor, and fight big and small reptilian Monsters!